This collection of music composed by Hiller Lejaren through a computer, was published after the presentation which he presided in Japan on behalf of the United States Information Agency at the Universal Exposition in Tsukuba, whose theme was centered on the use of digital technology. For this reason, the album produced by Wergo opens with several songs that were made on that occasion by Lejaren Hiller and his working group, which included Charles Ames and John Myhill. It must be said that it is for the most part experiments, useful to demonstrate to the public of the Expo the many ways in which the computer could be used to compose music, both alone and interfacing it with other devices. Hiller tried to embrace different styles, from popular music to the avant-garde, in order to emphasize the main goal. 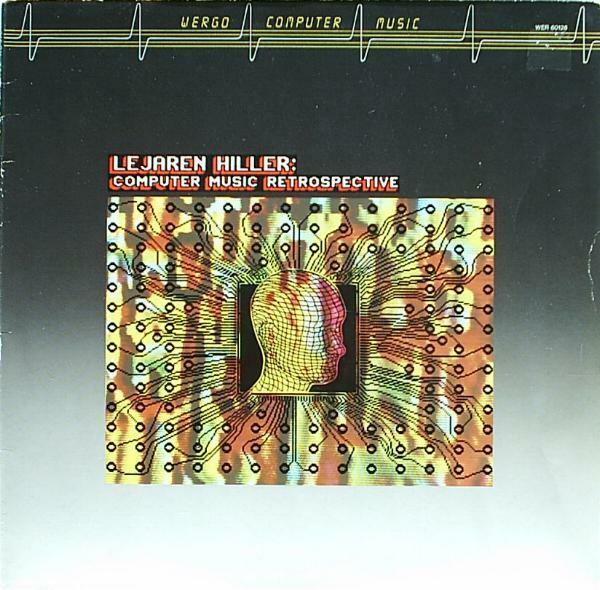 In the Wergo collection, with the title Expo ’85 (1985) are grouped four songs, not all by by Lejaren Hiller: the first, between those of the American composer, Circus Piece is made ​​with a Kurzweil 250 synthesizer. Hiller used selection procedures for the music material according to the procedures already adopted for the Illiac Suite in the mid-fifties. The second track, Transitions, was composed by Charles Ames with an Oberheim Xpander. In this work, the use of computer was to demonstrate the possibility of using it for the composition of complex structures as well as for the selection of the musical elements. This is followed by Toy Harmonium for synthetic piano; whose title is a tribute to the works of James Tenney. The last track in the Expo serie is a work composed by Lejaren Hiller in collaboration with Charles Ames: Mix or Match. Basically it was composed with a computer program that can generate a number of indefinable jazz melodies, based on the rules established during the planning phase. It is also a method inherited from the Illiac Suite, but in Mix or Match even the performance is totally automated. If there is a song that could not miss in this collection is undoubtedly the Illiac Suite (1957), not only because it is the first musical work created through a computer, but also because the success of the latter Hiller persuaded to abandon chemistry to devote himself exclusively to music. To listen all four movements please read the Illiac Suite item. The next track is a work in three movements: Computer music (1968) for tape and percussion. This work was realized in collaboration with the American composer G. Allan O’Connor, much better known for his teaching. Computer music it’s not mentioned among the most significant works of Hiller, because it is an adaptation of the strophes I, II and IV of Computer Cantata, realized with the collaboration of Robert Baker but not presented in this collection. The last two tracks are Persiflage (1977) and An Avalanche (1968). The latter is a work in three movements that is based on a satirical text of the playwright Frank Parman, which performs an analysis on the state of the art in the United States in the late sixties. Persiflage, however, is an instrumental work for flute, oboe and percussion, whose score was obtained through the use of software Phrase. Illiac Suite, Quartet No. 4 1st Mov. Illiac Suite, Quartet No. 4 2nd Mov. Illiac Suite, Quartet No. 4 3rd Mov. Illiac Suite, Quartet No. 4 4th Mov.